If you want to add a luminous effect to your photos, choose acrylic photo printing. The translucent, glass-like support will make your images look crisp, highlighting the depth of colour and the clarity of detail. 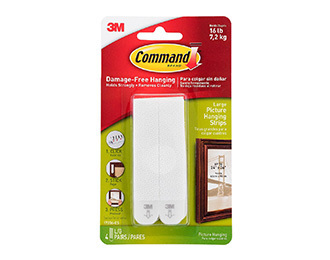 It’s guaranteed to elevate the look of any room. 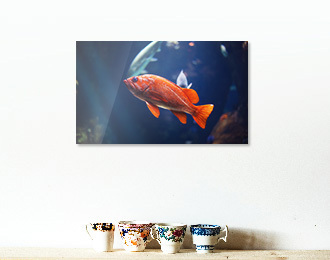 Acrylic photo prints have become the industry standard for art galleries and photo expositions. The light is refracted on the outline of the print, causing a subtle illusion of movement, as you look at it from different angles. 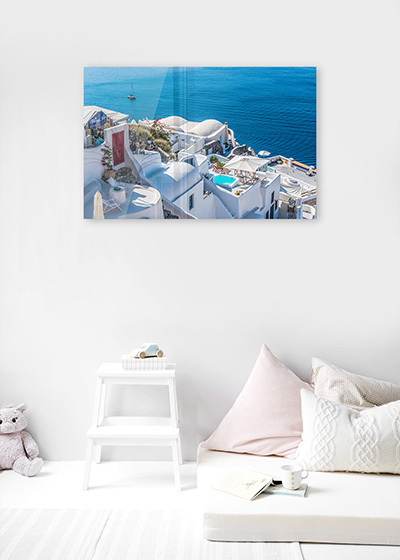 Acrylic glass prints, also known as plexiglass prints, are recognised for the 50-Year brilliant colors and the high-luster visual effect. The rich colors give your image a modern look from every angle. We use sharp diamond blades to cut the outline of each print, resulting in the finest, smoothest edges. Acrylic glass is a plastic fabricated using derivatives of acrylic acid that preserves the same main properties of common glass: transparency, lucidity, clarity and translucency. However, the acrylic glass is half of the weight of common glass. And that’s not all! 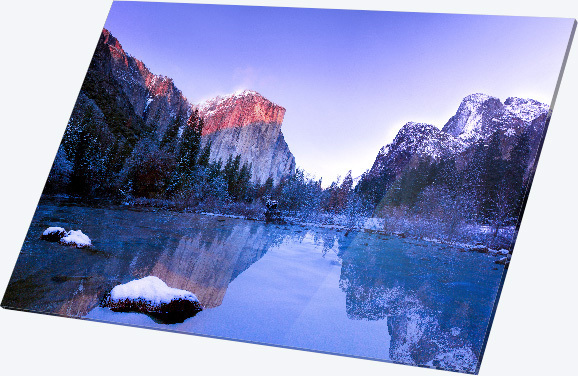 Our impact-resistant acrylic prints are up to 10 times less likely to get broken! 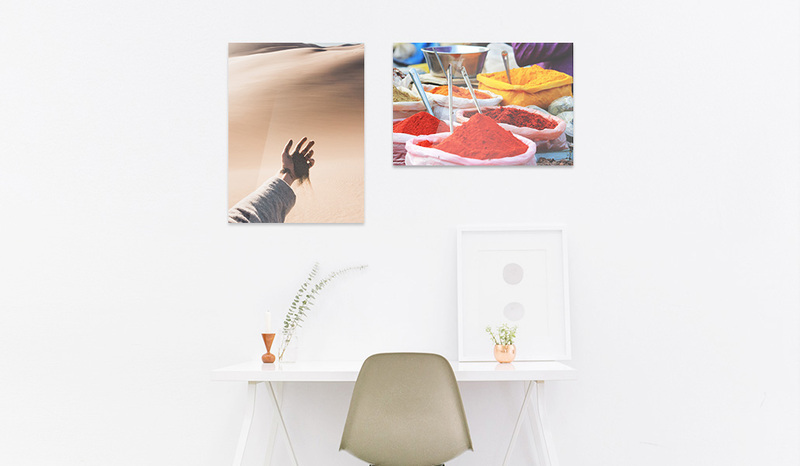 Are you tired of drilling your walls to hang your acrylic photos? 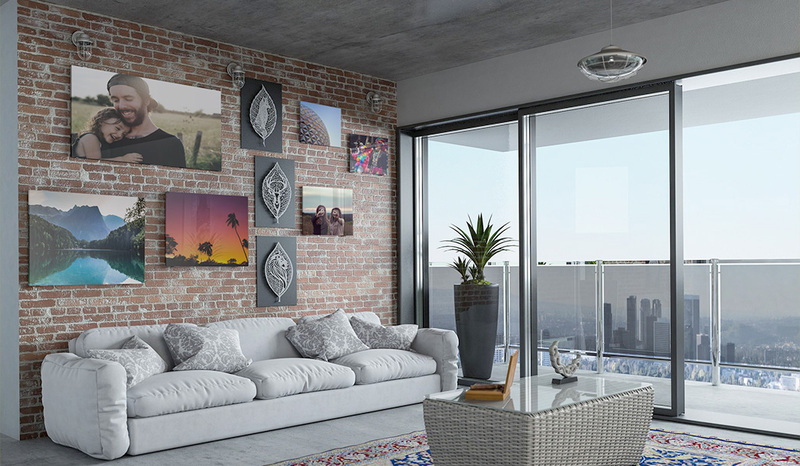 With our no-damage hanging system you can securely put your artwork on display in a matter of minutes, without damaging your walls. Direct printing under acrylic glass is the most used process, due to the impressive glossy look and the depth effect added to all prints. 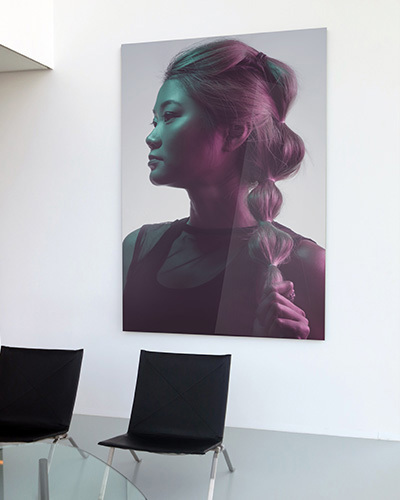 Your picture will be printed on the back of a 4 mm acrylic sheet, using a top-notch printer. The color is applied directly under the acrylic glass sheet, resulting in eye-catching astonishing effects. First, the back of the plate is covered with one layer of white color. The purpose of the additional white layer is to offer a radiant colorful contrast and to protect the print against any scratches, moisture or sunlight. 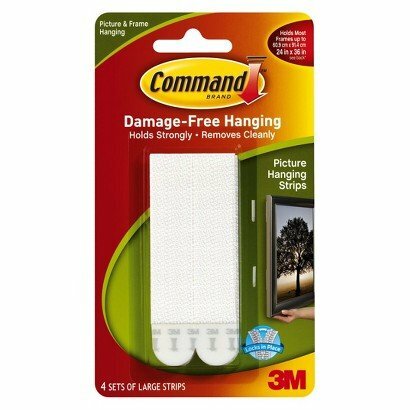 This technique has been proven to be the most effective for acrylic glass printing, leading to a very durable and lasting print. 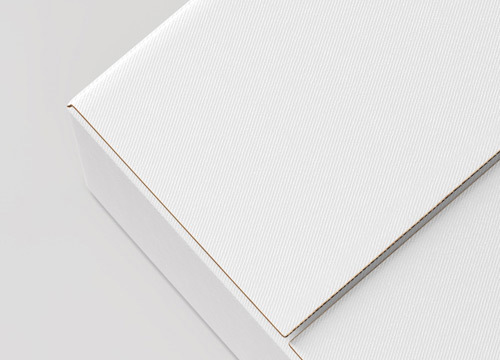 The final touch is the smooth translucent glossy surface that will offer your print a unique shiny aspect. We provide you 13 different standard sizes (from 20x30 cm to 120x80 cm), or if you want to create a unique design you can choose your own custom size (from 20x20 cm up to 100x100 cm). 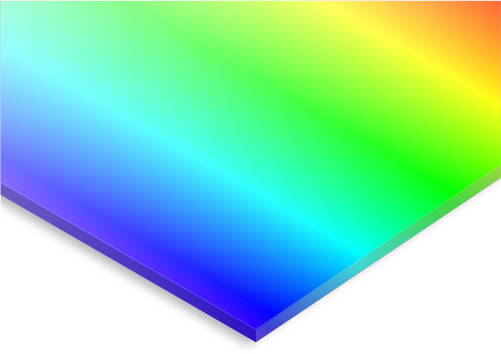 For professional photographers, it is vital to get true and vibrant colors on display. Luckily, they can ensure that it happens every time, by using the right ICC profile before ordering their desired photos on acrylic. Our detailed soft proofing tutorials will help you to use our ICC profiles correctly. If you’re in hurry, with a minimal cost, you can have your acrylic print shipped in 3-5 working days with our express service. You can select the express service on the checkout page. When you place an order, we are immediately notified. You will be announced through email about your order status, which will leave our premises as soon as the production process is completed. As an alternative printing option, we're also offering photos on Aluminium, and photos on Forex.